In 2004, while on field school in Jordan, we would spend most Saturdays traveling to many of the countries rich archaeological sites – in other words – It-Was-Awesome! 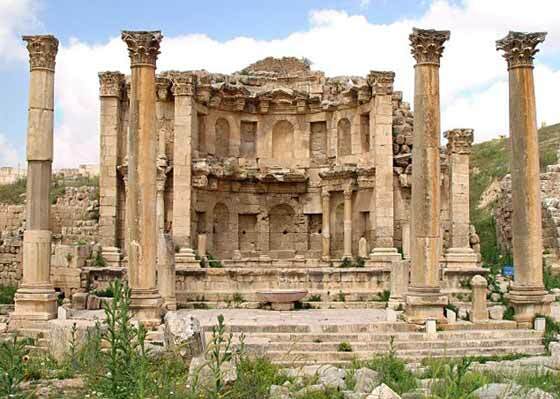 On one particular Saturday we drove north to the area around the 2nd century CE Roman city of Jerash. It’s amazingly preserved, complete with an hippodrome (racetrack) and a theatre, adjacent to the modern city (click here for more info on Jerash). The morning of our trip to Jerash, in my half asleep stupor as I got ready for the bus, I put on my flip flops instead of running shoes. Now, flip flops are pretty much my default foot attire, but really not appropriate for climbing around archaeological ruins. When I arrived at the Nymphaeum, a fountain dedicated to the Nymphs, I stubbed my toe on part of the foundation. Leaving behind a nice blood offering to the city. I then spent the next half an hour asking around for a band-aid. Always carry your own band-aids when visiting archaeological sites!